November is all about Shaker FUN! If you have joined me from Katy's blog, you are on the right path! This month I thought why not Shake Up one of the Craft With Heart subscription layouts. The layout's preprinted base page looked like tags and scraps of pattern paper. It looked perfect to add a little shaker! Using the Shaker Thin Cuts, I cut a circle out of Linen and the frame and stars out of Candy Apple. The '25' is a sticker that comes with this month's subscription. The Shaker is filled using the Gold Sequin shaker pack and the Candy Apple stars. The '25' sticker was going to be placed on the corner of the photo, so that is where I placed the Shaker. What FUN this added to layout! If you like what you see and have questions, please ask in the comments. If you don't have a consultant, I would love to serve you. Click HERE for my website. Now let's hop over to see what Maz has in store for us. 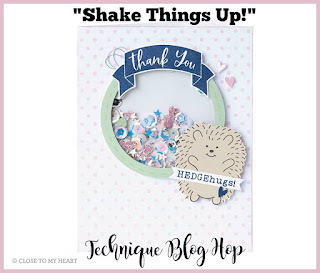 Fabulous use of a shaker part, as an embellishment on your layout! Loving the incorporation of the shaker parts on the layouts! Yours is wonderful with the '25'! Love how you added the shaker to the layout!! Love your shaker element on the layout. Very pretty! 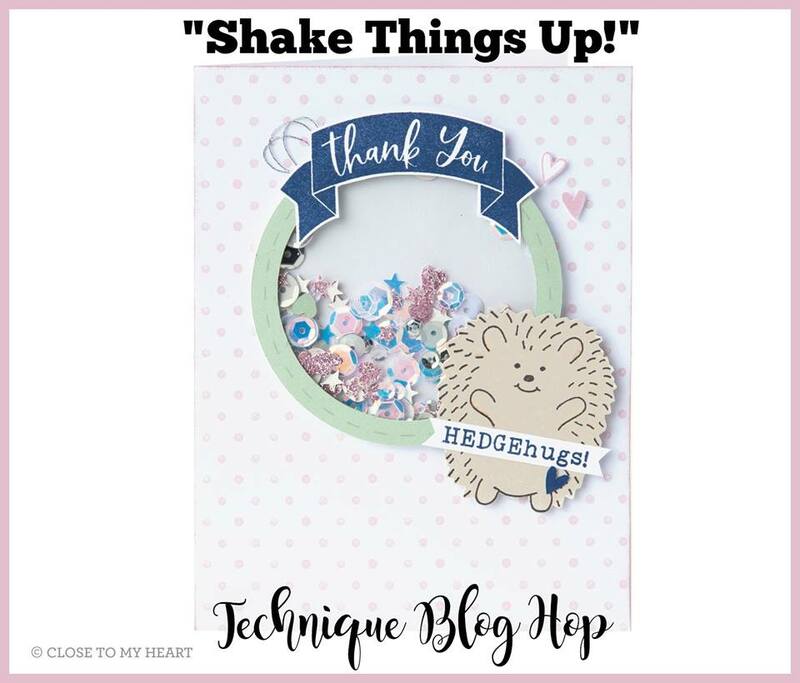 Fab idea for anyone who wants a quick & easy way to change the Craft with Heart layout - love the little red stars & 25 you have featured in the design too. Great layout and I love that you've used LOTS of sparkles and sequins in your shaker element. This is such a fun layout and I love how the circle shaker adds a great variation to all the background squares.